OOPS! NYT made a huge mistake sending out an email on Wednesday. They mistakenly sent an email to over 8.6 million people rather than 300. The email sent out told people they’d cancelled their print subscription, and urged them to reconsider by offering a special discount — 50% off for 16 weeks. 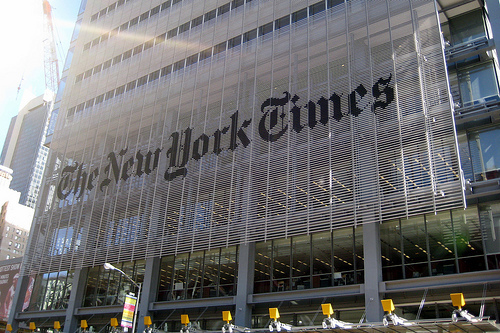 Many Twitter followers started thinking that New York Times was hacked or spammed. They started to publish Tweet’s like, “Was New York Times Hacked?”, but this was not the case according to NYT. This is a simple mistake if you’ve ever used newsletter software. It’s very easy to have multiple lists checked off for a blast or get campaigns mixed up. I guess it could’ve been worse though, what if it was something more personal? This makes you realize what happens when a business is on a large scale. It’s so much more detrimental to send off a newsletter than a website with 10,000 subscribers! All I know is that I wouldn’t like to be the one who takes the blame for sending out that email, what about you?